With 5.9 billion reported users, mobile phones constitute a new, ubiquitous and rapidly growing exposure worldwide. Mobile phones are two-way microwave radios that also emit low levels of electromagnetic radiation. Inconsistent results have been published on potential risks of brain tumors tied with mobile phone use as a result of important methodological differences in study design and statistical power. Some studies have examined mobile phone users for periods of time that are too short to detect an increased risk of brain cancer, while others have misclassified exposures by placing those with exposures to microwave radiation from cordless phones in the control group, or failing to attribute such exposures in the cases. In 2011, the World Health Organization, International Agency for Research on Cancer (IARC) advised that electromagnetic radiation from mobile phone and other wireless devices constitutes a “possible human carcinogen”. Recent analyses not considered in the IARC review that take into account these methodological shortcomings from a number of authors find that brain tumor risk is significantly elevated for those who have used mobile phones for at least a decade. Studies carried out in Sweden indicate that those who begin using either cordless or mobile phones regularly before age 20 have greater than a fourfold increased risk of ipsilateral glioma. Given that treatment for a single case of brain cancer can cost between $100,000 for radiation therapy alone and up to $1 million depending on drug costs, resources to address this illness are already in short supply and not universally available in either developing or developed countries. Significant additional shortages in oncology services are expected at the current growth of cancer. No other environmental carcinogen has produced evidence of an increased risk in just one decade. 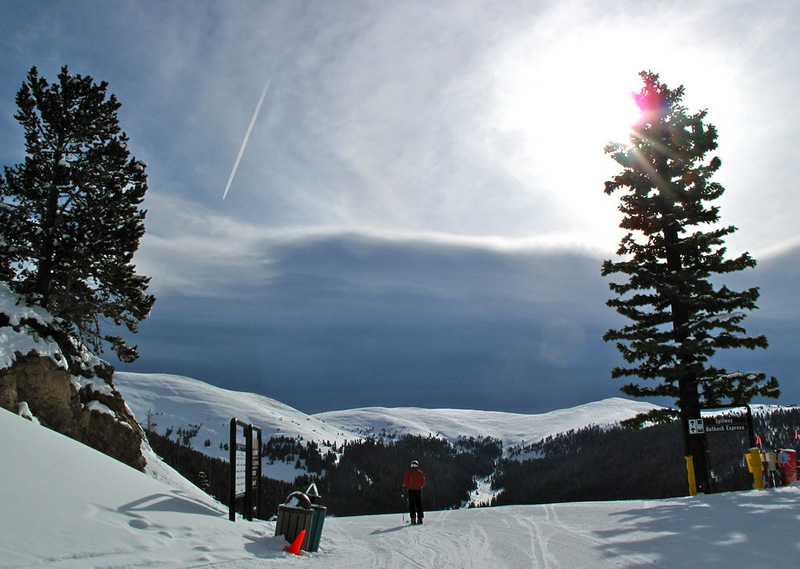 Empirical data have shown a difference in the dielectric properties of tissues as a function of age, mostly due to the higher water content in children's tissues. High resolution computerized models based on human imaging data suggest that children are indeed more susceptible to the effects of EMF exposure at microwave frequencies. If the increased brain cancer risk found in young users in these recent studies does apply at the global level, the gap between supply and demand for oncology services will continue to widen. Many nations, phone manufacturers, and expert groups, advise prevention in light of these concerns by taking the simple precaution of “distance” to minimize exposures to the brain and body. We note than brain cancer is the proverbial “tip of the iceberg”; the rest of the body is also showing effects other than cancers. It's like that at the university here also; it's the way of things for that generation, and surely for generations to follow; to question what seems necessary and inevitable is not only a waste of time, but possibly socially isolating. 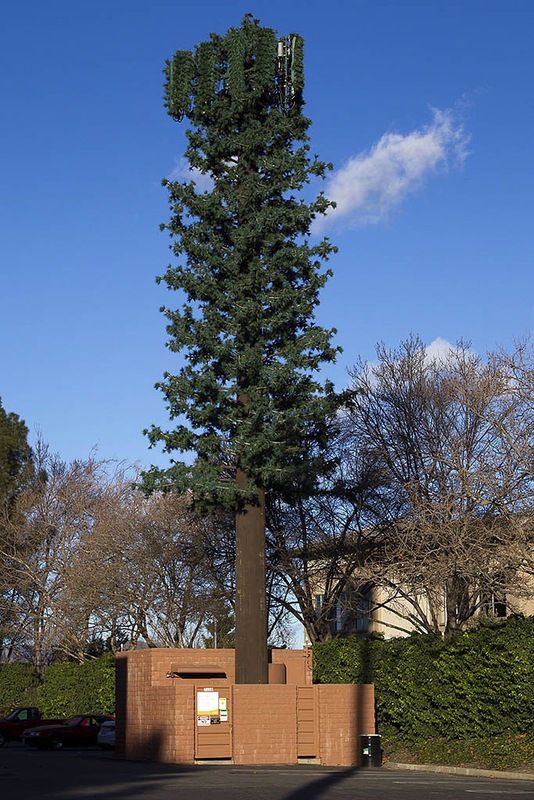 The cellphone tower tree in the cemetery may actually have the specific purpose of ensuring good reception for the unlimited calling plan users who have had their cell phones buried along with them. I believe I read somewhere that last year 7 percent of those buried in America were buried with their cell phones, up from 4.7 percent the previous year; a spike as sharp as the tines of a barbecue fork, when you come to think of it. As for the idea of earning income, it does hold a certain ignis fatui glimmer, a tantalizing charm, somewhat like the idea of winning the lottery, but if you are me, the chances of either of those things ever happening is equally remote, whether or not I ever acquire a cell phone (I won't). By the by, most of the photos in the top half of the post were taken in the suburban corridor strip just over the first range of coastal hills here -- Contra Costa. Seemingly the epicenter of this phenomenon. Epidemiology-wise. Thanks, Tom. 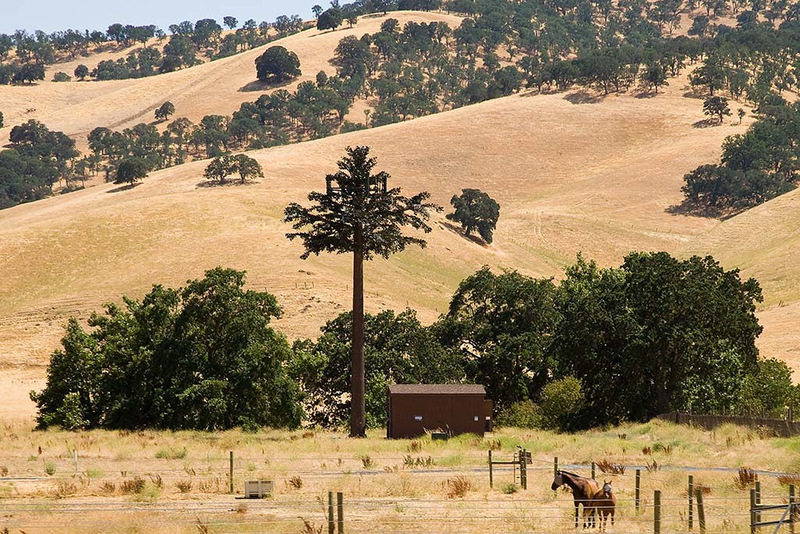 I have never before seen a cell phone tower tree! Astonishing in its vulgarity. My sister and I were left some land in Virginia form our parents--where we dream of retiring with our spouses who are both equally interested. It's all woods and has a beautiful steep rocky area. 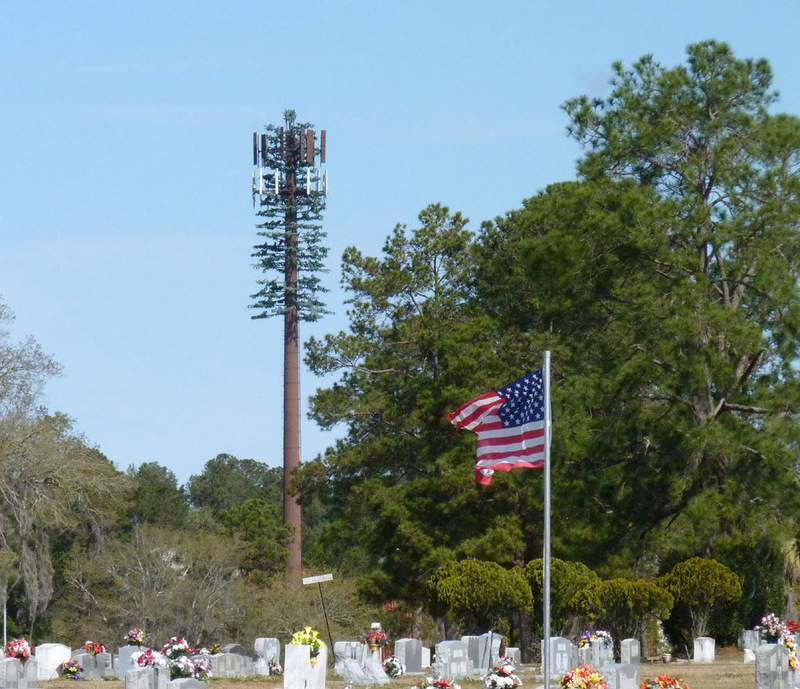 A few years ago one of the cell phone companies asked if they could put towers up, and we said no. They were baffled. How could we not agree. The price was too low? They just didn't see why we'd have a problem with looking up in the morning at a cell tower. 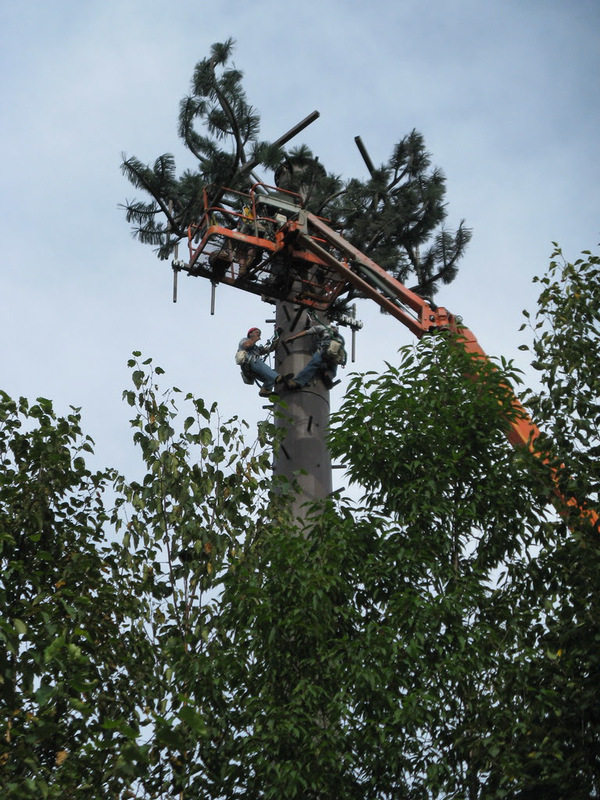 Of course, I am sure someone else was fine with it, took the money and loves their own personal cell phone tower, but really, I like my trees to be trees. Thanks very much. Fortunately my sister agrees. And what could be the problem with a little space where nothing connect? We’ve come to this. And we think ourselves clever for having done so. The one’s as devolutionary as the other. Yesterday I saw a cement truck, a very large, heavy cement truck, racing down Main Street in traffic, the driver talking on a cell phone, the other hand on the wheel. The word “control” came to mind at that moment. Some years ago a high official with the WHO resigned when she became ill from the constant electromagnetic transmissions emitted by the equipment in her office. Nothing exotic, the same stuff you’d find in offices anywhere. Or in homes, for that matter. Maybe I'm just feeling sentimental, having left my cellphone on the bus just this morning, but I kind of like the darn things. I've got books on mine, and an App that is teaching me German (wie gewonnen, so zerronnen), and I can even read blogs on the internet. Of course, I never answer the darn thing. 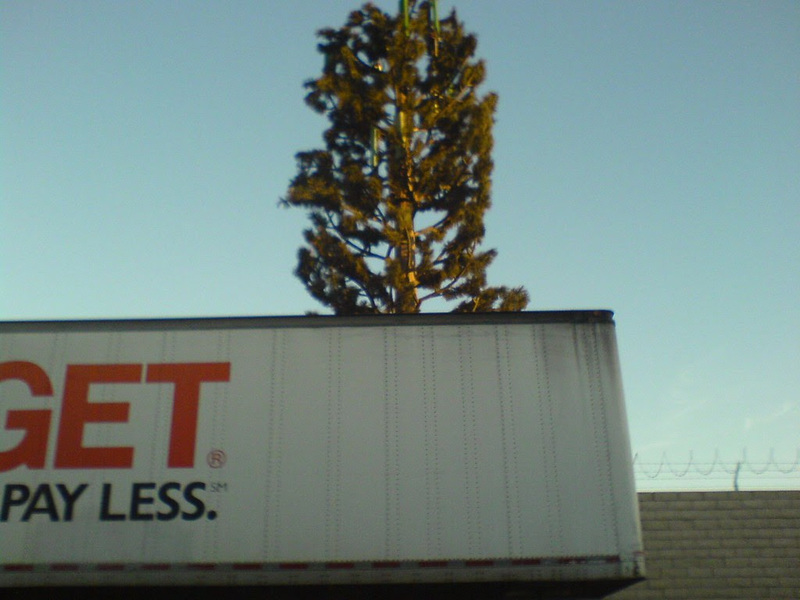 I like to pretend the cell phone trees are poorly-disguised alien drones, sent to spy on us. Or maybe they mark the invisible boundaries of the dome we all live under. A wrinkled wired olive tree. "...to question what seems necessary and inevitable is not only a waste of time, but possibly socially isolating." The questioning of the socially isolating cell phones is itself socially isolating. I avoided the generation gap for a long time, always tried to remember what it was like to be a teen so I would maintain some understanding. Cell phones have wrecked that totally. 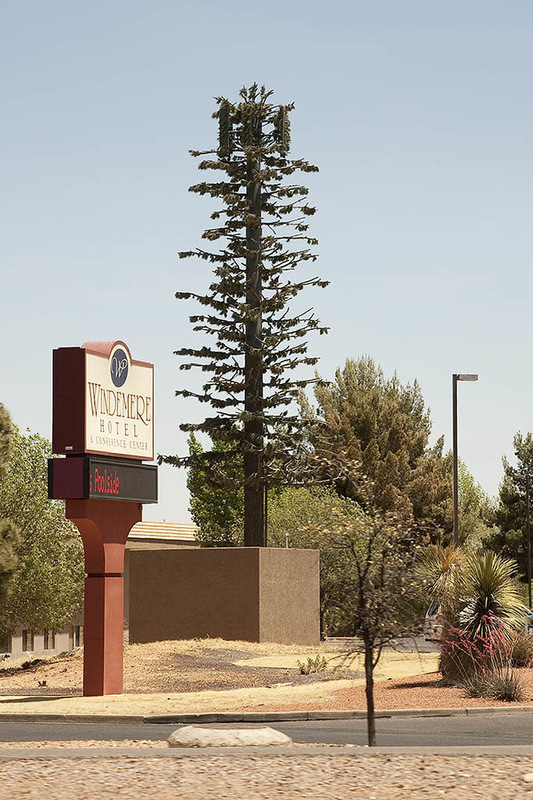 The phone companies call these fake trees "stealth sites". The one that helps to power up our immensely interesting doings is the humongous mothertree over in Dublin, pictured here. My research into this subject was intensely depressing. At least when the Triffids were coming up the motorway, British folk knew to be scared. 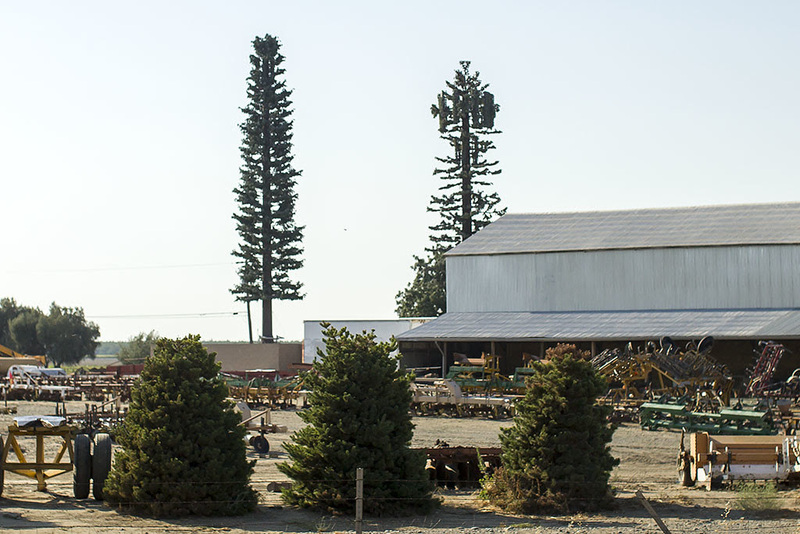 Said research finally herded me into the corner of an unavoidable conclusion: there are two schools on the cell phone tower tree question. One school holds that What's all the fuss anyway? I am of the other school, I think. By the by, if you've submitted your eyeballs to that scientific abstract as I have, you've perhaps also paused over the "distance" factor. Seems simple enough. Plastic thingie that emits more potentially lethal radiation into you the nearer you are, less the further away. NB. Cuidado User Caution Advised. -- it's safer to bury your beloved cell phone in a matching lead box, than to keep it upon your person. 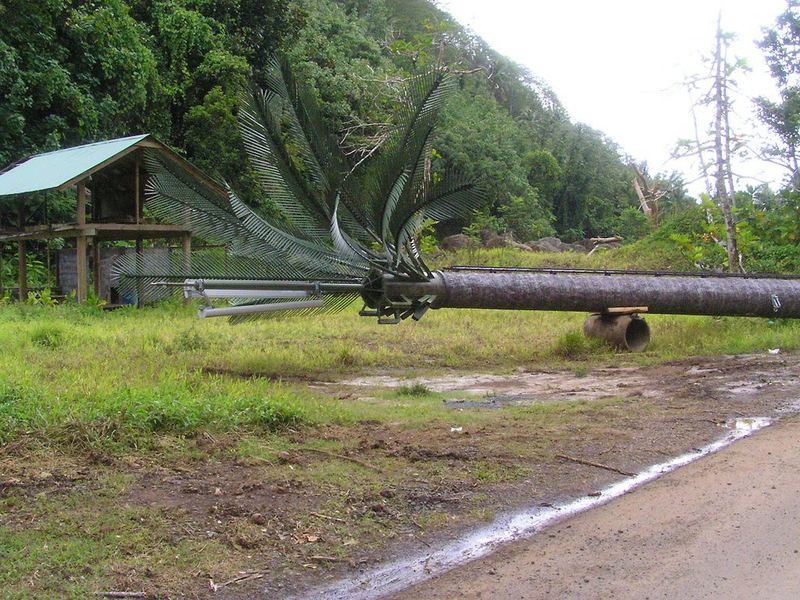 I guess these monstrosities are on their way over here. I'm glad I've a job that requires me to switch the thing off during work hours. It would be quite a jump to do without the thing completely (not good, to think about how a dependency's bloomed). "Cartoon suspended/ animation silence" - I remember sitting by Loch Brittle with my brother and a friend, thinking this was a silence and a stillness I wouldn't touch again. I don't see them as dangerous as high tension wires. There's a forest of those over near the El Cerrito Recycle Center, beside which I think it's inadvisable to have a house. The real danger is the blanketing spread of technology, and the belief, by almost all the post-X babies, that they must be connected. One of my most significant relationships over the last decade ended, because my friend was offended that I was not committed to the new phone revolution, and actively resisted endorsing it. So we don't fish anymore together, and separated in June 2012. Or maybe it was that I was just too old to "get it." I do carry a cell phone, but only for calls. And I never leave it on, and have never "received" a call on it. I use it at my office instead of a land line. Phones were kind of fun in the old days. Idiots out walking these days squawking into tiny phones. "I'm walking past Peet's right now, what's happening? Okay, pull the steak out of the freezer, and I'll see you in ten minutes." "Can't hear you. I'm zonked!" "Idiots out walking these days squawking into tiny phones. "'I'm walking past Peet's right now, what's happening? Okay, pull the steak out of the freezer, and I'll see you in ten minutes.'" And there are also the ripple effects. Public cell phone use is offensive and annoying. Automotive cell phone use is potentially lethal. People cruise over here to park, then stroll down the block to frequent Peet's, sit over coffee and jabber idiotically on their cell phones; the freeway feeder they use to get here is the most lethal thoroughfare in the East Bay, seven pedestrians have been killed on our block in our thirty years of trepidated presence, and the Fatal Accident Team that scraped up and carted off the broken parts to Highland after I was mown down out front is pretty much kept in business by this madness; meanwhile the number of lunatic drivers who persist in finding ways to be jabbering on their idiot slabs while zooming past continues to astonish. I'm crippled and housebound now, entertainment as such has disappeared and been replaced by that vacant waiting for the Beyond notoriously characteristic of nursing home situations. And yesterday, while thus listlessly staring out the front window, I saw a parked car back out into the traffic stream; an oncoming car swerved to avoid collision, but one of its front tires was underinflated, and it tipped over to one side, and the fancy add-on wheel detailings contacted the pavement, and the car flipped... the driver had a seat belt and amazingly got out. 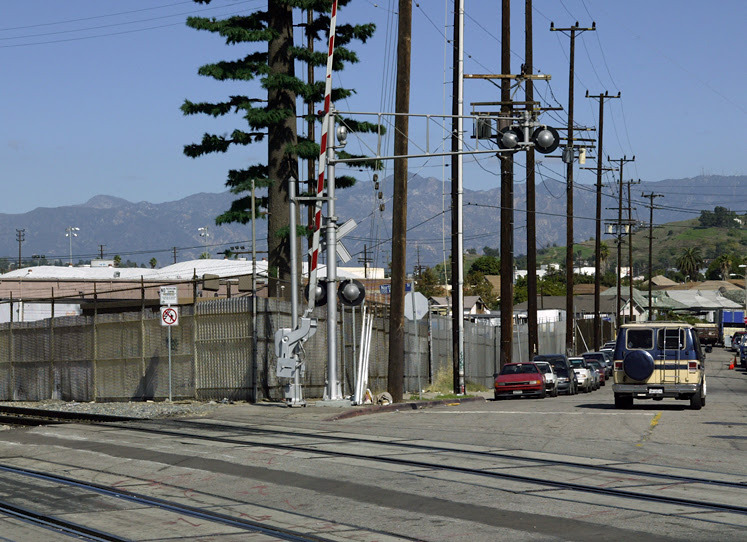 Had either of these motorists been using a cell phone when this incident occurred? And if the answer is negative, then what were all those suspicious-looking ground-up plastic and wire bits scattered across the roadway? Curtis, OK, that's it, you've convinced me. Next time I'm able to stand up without aid, I'm heading straight for wherever it is I left that old fashioned phone made of two tin cans and a piece of string. It's got to be around here somewhere. I take this seriously, and hope I am not censured for exploring this, maybe not consistent with the authors point. I am still on the fence. There is a ton of background RF energy: WiFi internet, TV signals, GPS signals, RF to submarines out of Great Lakes, Shortwave radio, visible light, UV light, stuff coming from space, naval navigation radar, air traffic control radar, weather radar- the list is incredibly long. 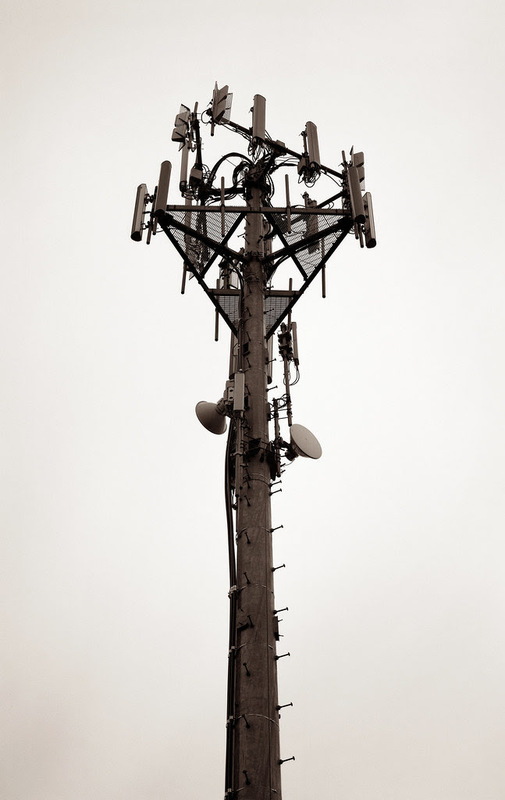 All things being equal, intensity goes down by 75% every time you double your radius- there need to be cancer clusters or health problem clusters immediately right around cell towers to make a strong case for ill health effects. There are known health effects from excessive exposure to RF- aggressive premature eye cataracts. An analogy comes to mind with ionizing radiation- there is a 200 mile stretch beach and beach towns in Brasil- state of Espirito Santos- that are pretty naturally radioactive, around 20 micro sieverts per hour. The outskirts of Chernoboyl city are around 20 micro sieverts per hour. Bad parts of Fukyshimi are 40 microsieverts per hour. Now you would think the coast of Espirito Santos would have a lot of cancer cases- no, it does not. No doubt, RF energy can wreak havoc with your body- just look at a microwave oven. But its a matter of intensity- you can kill yourself by drinking way too much water. You can throw off your salt concentrations and cease to function.